Hi everyone, I hope you all are enjoying the weekend. I have been in Norway for some days and did not have the time to write a blog-post! 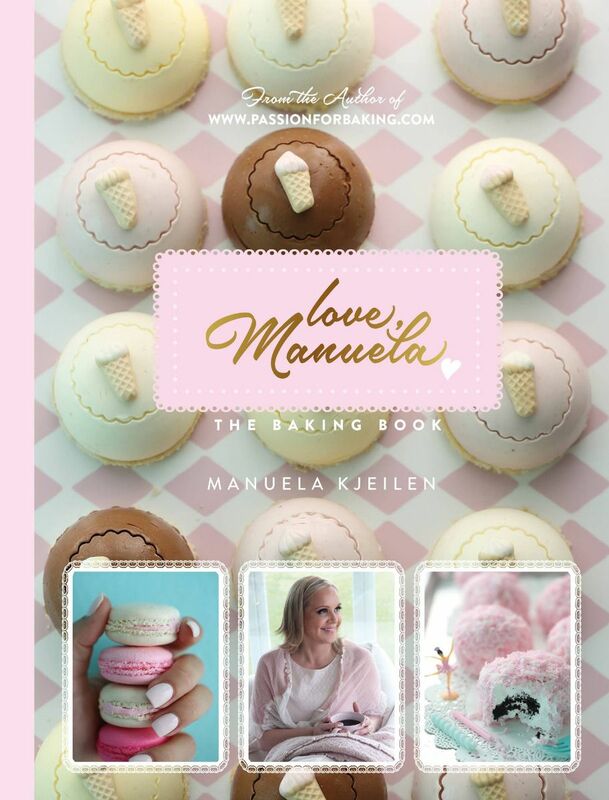 But now I´m back home and I will try to come up with some sweets for valentines day! 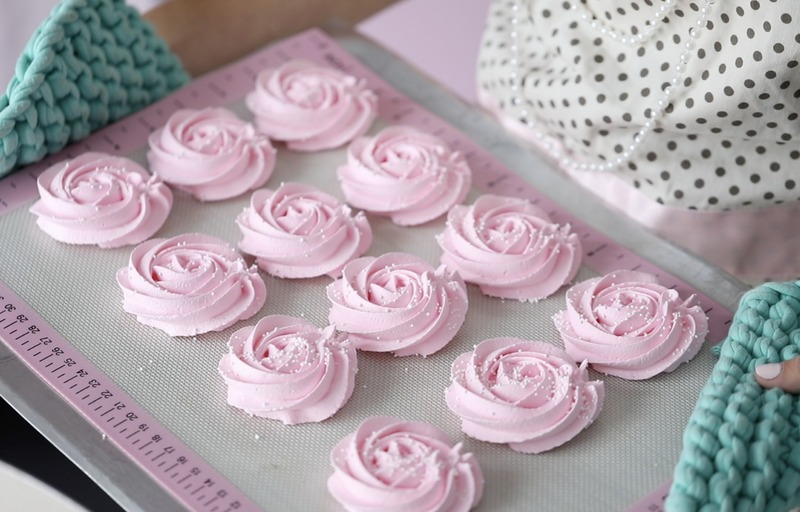 One of the things I think is delicious to make for valentines day is meringues cookies in a shape of a rose! 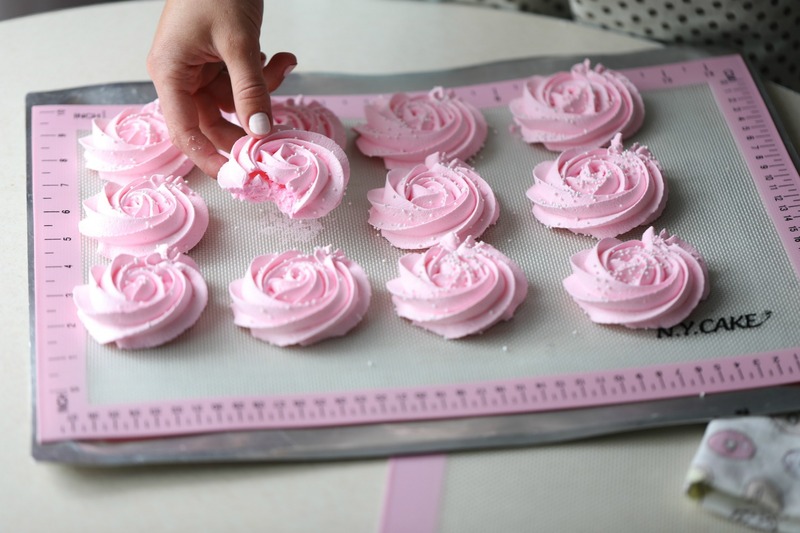 These meringues cookies I drizzled with some white nonpareils before I bake these off! 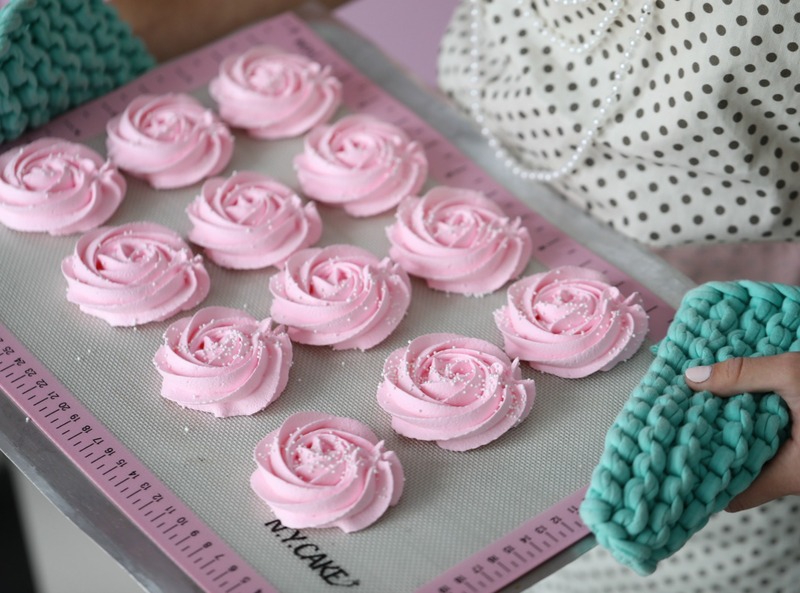 What I love with these cookies made with the @meringuegirls method, is the meringues don’t have to be in the oven for more than 45-60 minutes, you take them out and you can enjoy this right away! 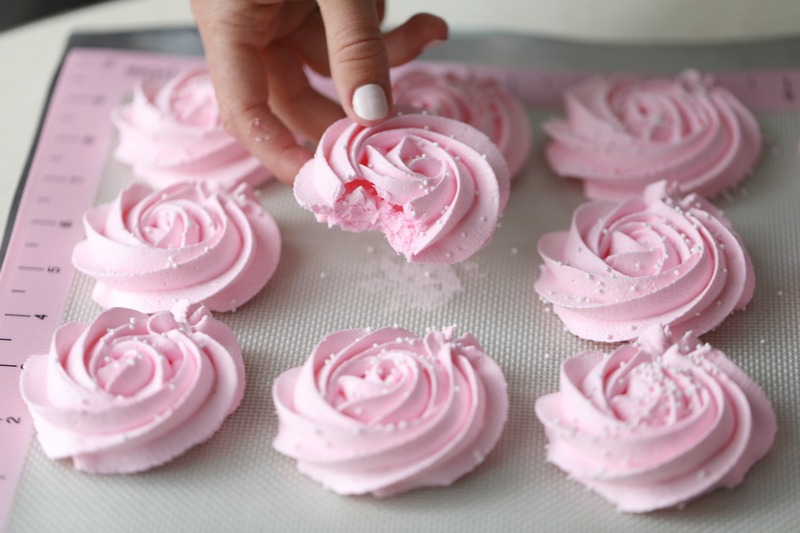 they are crispy on the outside and chewy in the middle! 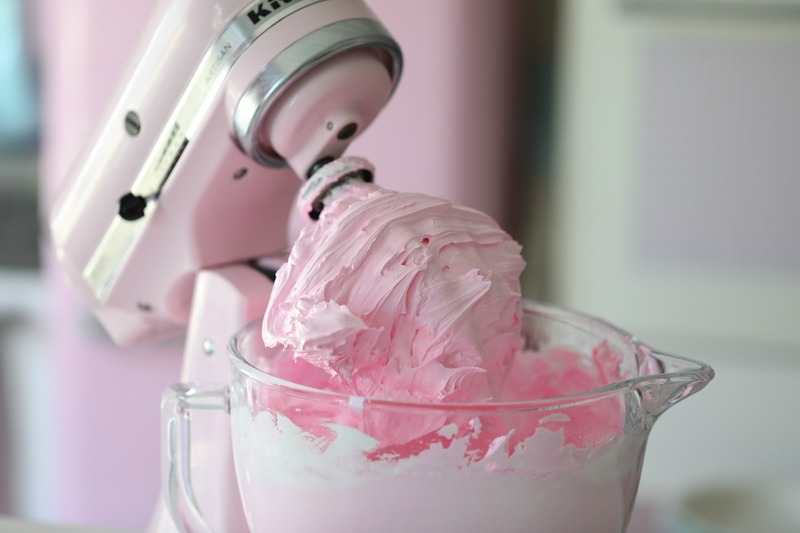 Add two drops of pink food color and vanilla bean paste ( optional, continue to mix for one minute more. 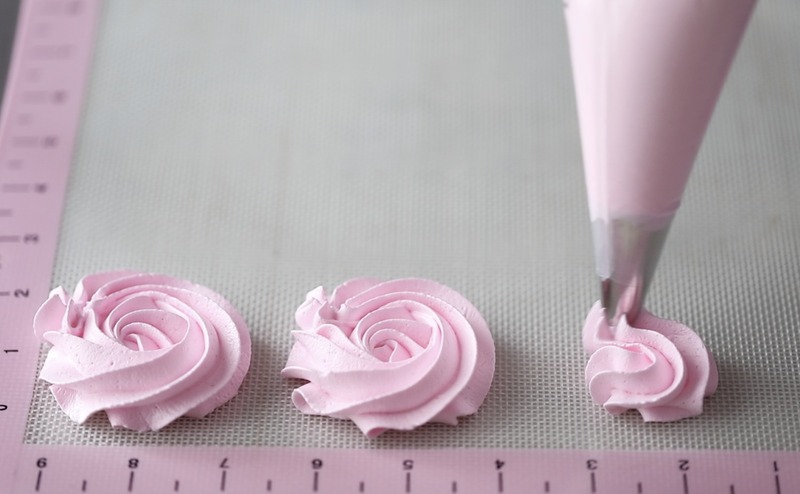 Pipe out your meringue roses, start in the middle make and quickly with constant pressure go around. 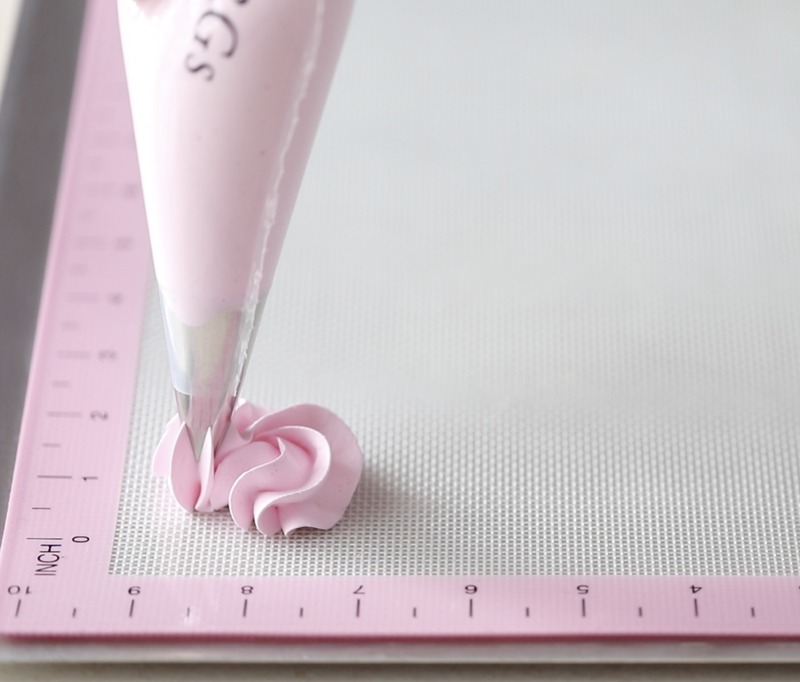 Bake for about 45-60 minutes or until the meringue bases come off the parchment paper clean. 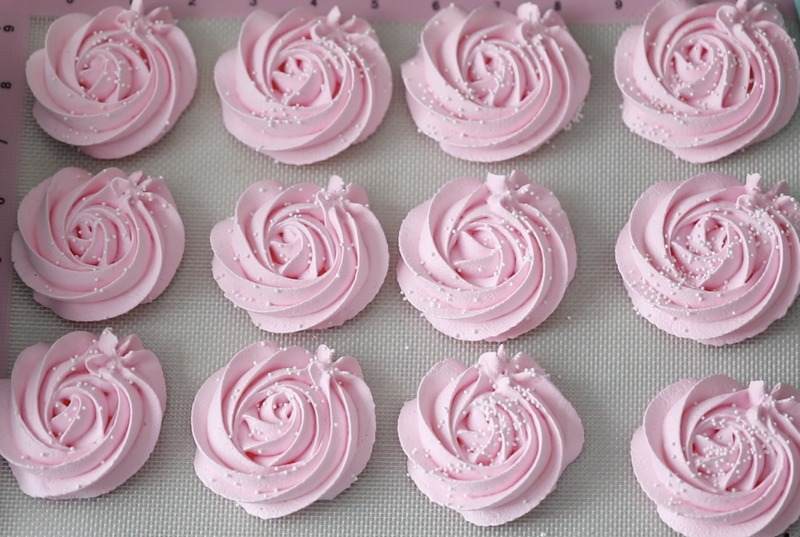 Take it out of the oven right away, do not let them be in the oven! 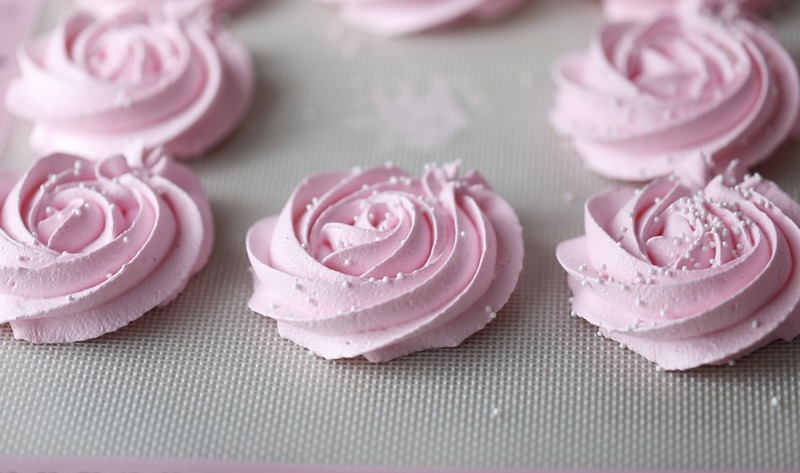 These meringues roses keep well for 2 weeks, in a container or wrapped in plastic wrap. 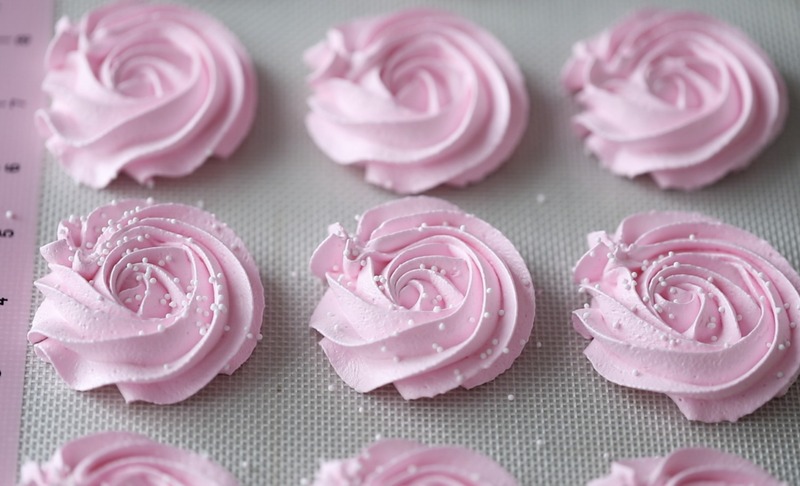 If you want to know how to make the meringues, watch the video below of a previous video.